June | 2009 | Always On! As those of you who follow my blog regularly – and I know there are at least five of you… well, at least two… gee, it could be as many as eight-five… but I digress. Those of you who follow my blog know that one of my favorite means of consuming information and news is the podcast – a medium I enjoy as I travel around the city via subway, bus, and foot – saving me from doing no fewer than two things at a time. 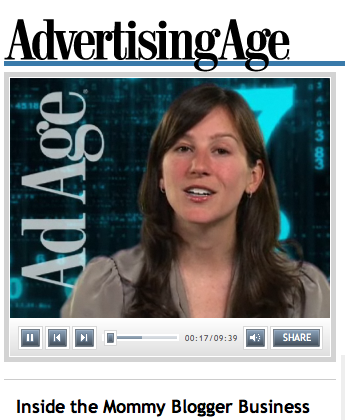 I partake of all kinds of podcasts: AdAge 3 minute casts, Cynthia Turner In Your Ear Cynopses, NYT Front Page, etc. It’s like the Cliff Notes of news, except that I don’t have to know how to read. Well, one of the podcasts on my top-ten lineup is “Green 960 – Rachel Maddow,” and this afternoon, I had the good fortune of having a business meeting on the east side of Central Park, which compelled me to walk home through the Park. And, hence, I had the opportunity to hear Maddow’s rebroadcast of John Hodgman’s talk at the Radio and TV Correspondent’s Dinner last week. 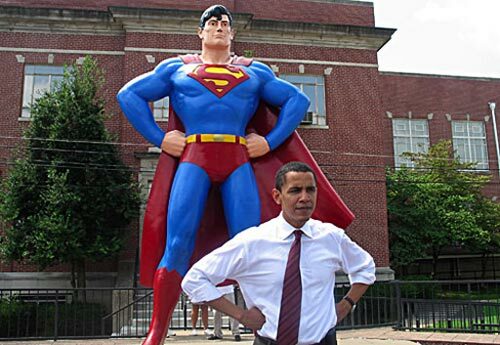 Barack Obama, with a photo of himself in front of a Superman statue, and a deep knowledge of Star Trek salutes and facts, seems to be the first nerd president. A nerd president being to a jock president what a blogger is to a radio talk show host, gravitating toward “complexity and bookish rumination” rather than “gut instinct, intense confidence and surety.” But yet, he plays sports. And not just bowling, but basketball – making Mr. Hodgman’s assessment of the president somewhat more complicated. After spending four days in deeply red country as a supremely ill-qualified defender of liberal politics, this was a refreshing return to the familiar territory of satirical blue humor – not to mention a quite comfortable temperature in the 80s rather than the high 90s. But let’s get back to safer territory – for example, Hodgman’s direct allusion to social media. Within his overview of the nerd culture, he notes that it has come to pass that “the state of Iran is somehow deeply entwined with the sleep schedule of the programmers of Twitter and Youtube.” Phew. It seems that one of my early morning questions at the OMMA Social conference yesterday prompted advice that merited a mention by MediaPost. 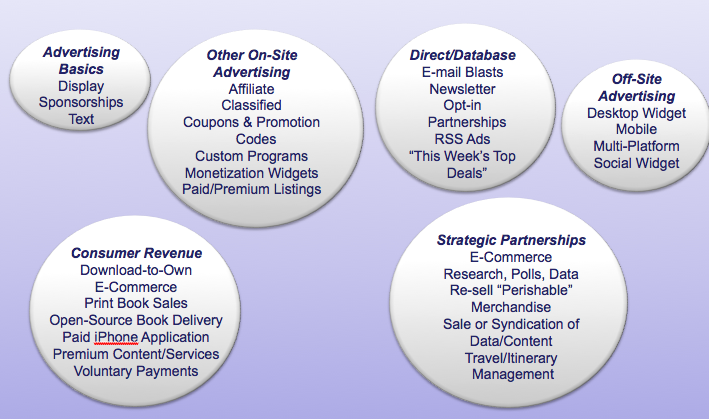 As a business and marketing strategy consultant, I work with clients that range in size from $1MM in revenue to multi-billions. 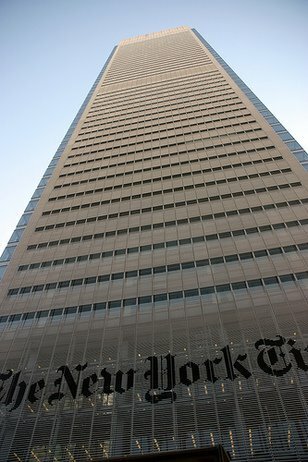 From “Not for Tourists,” Campfire and ning to Time Inc., Pillsbury and Scripps Networks. And I work with organizations that are completely immersed in the newest, most bleeding edge innovations to those who are thinking about developing their first digital strategy or figuring out how to translate their print assets to an online environment. When I attend conferences such as those sponsored by OMMA, CEA and iBreakfast, I am in a world where Twitter, Facebook, iPhone, hash marks, retweeting, and hyper-localization are part of every day discussion. Then I meet with a client in the financial services industry who reminds me that employees of large financial institutions can not access any of these tools while at work due to compliance regulations and Blackberry servers. And I work with another client who feels strongly that the people using these tools and websites are not her core Baby Boomer consumers. So, how do you bridge that gap? To what extent should we recommend that marketers and publishers who are new to the Internet, let alone social media, focus on these high-impact but low-penetration tools. Twitter has 18MM monthly uniques – with 10% of users creating 90% of content, and there are 17-18MM iPhones worldwide (each is about 6% of the U.S. population) with relatively low median ages – though not as low as you might think. “How To Convince Clients To Embrace Social Media: Try Search. 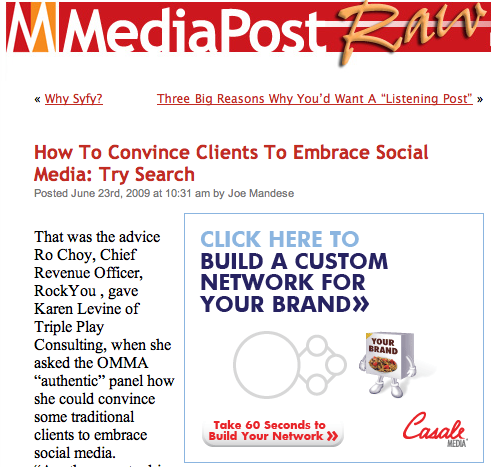 That was the advice Ro Choy, Chief Revenue Officer, RockYou , gave Karen Levine of Triple Play Consulting, when she asked the OMMA authentic panel how she could convince some traditional clients to embrace social media. Another way to drive that is to do a search for Twitter on your product, Choy said, noting that those clients would see plenty of conversations about their brand taking place on Twitter, and then they could decide for themselves whether they need to be proactive about it or not. Well, after I heard this very powerful response, I proceeded to Twitter and ran a search on “Harvard Club,” which I then forwarded to the head of the Program Committee of the club. Why? Because I wanted him to know that Twitter is not only relevant to Iranian politics but to the members (especially the young members) of the club. This evening I will have more than 100 members coming to hear Shelly Palmer speak about social media. Some of those members needed to call the Program office to learn how to log onto the new website to make a reservation. Others were born squarely into the digital generation. In fact, this particular program is prompting members to bring their 20-something children to the event, which will lower the median age significantly. I am very curious to see how Shelly addresses this broad set of skills, understanding and objectives, but have little doubt that he will do so successfully. 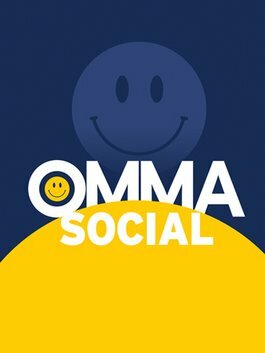 I’ve just emerged – well 3 hours ago – from 9 hours of live immersion in social media at OMMA Social – the Online Media, Marketing and Advertising social media conference. Ah, the bliss and the exhaustion. I feel compelled to share my joy with those of you I met today – physically and virtually – and others in the blogosphere. So, I have set myself to creating a list of key takeaways. It will not be easy, I know. But nothing worth doing ever is – or so they say. I am going to post this blog as a work in progress. And I invite those who were there with me in the Crowne Plaza ballroom – or have watched the video stream – to chime in. You can also relive the live conversation at #OMMASocial on Twitter. 1) The big next thing is hyper-local targeting – particularly via mobile. 3) Authenticity is crucial. If you don’t have it, they will know it. 4) Need to define your personality as a brand in the social media ecosystem – especially important for Twitter. 5) Executive (C-Level) buy-in is essential – need resources to have an effective social media presence. 6) Enroll your entire organization in your social media initiative – strength in numbers. 7) Run a search of your brand or category on Twitter to demonstrate to management that your brand is already part of the conversation. 8) Use Twitter to track comments about your brand and then reach out directly and personally to those who have tweeted, particularly those with problems and complaints. 9) Twitter is a better tool for brands than is Facebook – you can’t search “Updates” on Facebook. 10) Use Facebook Connect to get information in not out. You can’t search personal updates on Facebook. Twitter more dynamic – what’s happening NOW, and it’s less of a build it, and they will come. Once consumers have signed up to be your friend or fan, it is hard to keep them engaged. While Twitter has 18MM unique users to Facebook’s 70MM, it is growing fast. While 10% of Twitter users create 90% of Twitter content, they are influential and passionate. This reminds me of an recent cover story interview by BusinessWeek – “The Risk Takers: Hunting for Growth.” The author being interviewed compared navigating the economic crisis to driving on ice. The worst thing you can do is slam on your brakes. You have to be willing to give up some control and go with the flow, as it were – hmmm… perhaps I should not attempt to be articulate after 11pm. In any case, I wrote about a related topic in a previous blog about the value of advertising during an economic downturn – based on work I did in 2001. Walmart’s claim to be green was immediately questioned by the “Mom” blogging community. Just didn’t resonate. Now, this may not be new to you. In fact, Robert Scobel and Shel Israel spoke about this in their 2006 book “Naked Conversations.” However, it is crucial. A powerful way to utilize Twitter is to track your brand and then reach out directly and personally to those who comment, particularly those with problems and complaints. Craig Engler (Sci Fi Channel – soon to be ScyFy) told a story of Craig Newmark contacting him directly when he posted a tweet about a craigslist problem. Comcast is the poster child for this practice with their Comcast Cares program – a far cry from the YouTube video of the serviceman sleeping on a customer’s sofa. Later in the day, we got to hear from Frank Eliason, Director of Digital Care at Comcast, directly. It kind of makes you feel that every brand should do this – as a consumer. Run a search of your brand or category on Twitter to demonstrate that your brand is already part of the conversation. As Steve Wax of Campfire said on a different occasion – understand what is being said about your brand and then insert yourself into the conversation. All that said, we need to always keep in mind the self selectivity of Twitter. These are opinion leaders and influencers, yes. But they are also a younger, tech savvy slice of the population, and 10% of those who tweet create 90% of content. 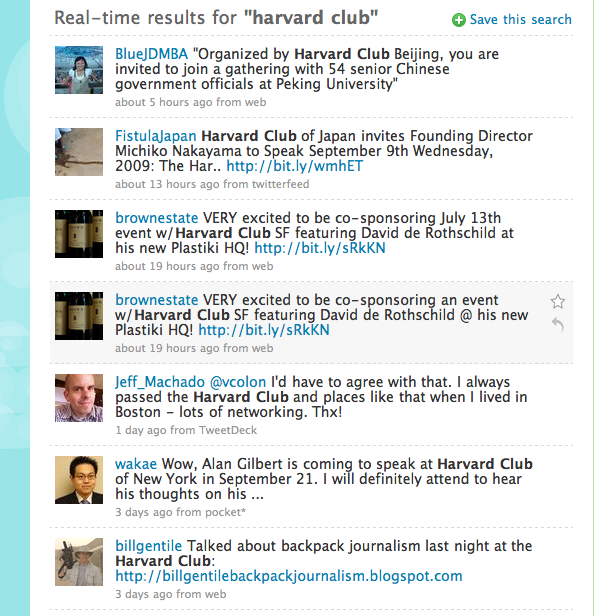 For example, when I search for “Harvard Club,” I find tweets from recent grads complaining about the dress code. Definitely good insight for those planning for the future of the club, but a biased sample. Use Facebook Connect to get information in not out. One of the most powerful uses of social media is research. The listening post application. This reminds me of the days when, as a brand manager, I would periodically listen in on calls to consumer service. You don’t want to know the kinds of usage questions that consumers asked about Vaseline skin care products! How Do I Monetize Thee? Let Me Count the Ways. 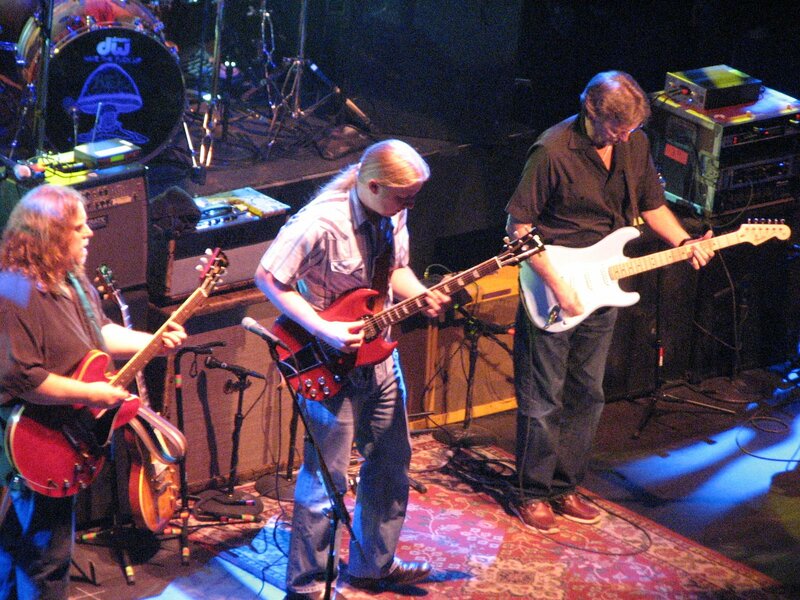 I Want My Allman B – And I’m Willing To Pay! – I fall in love with these a little more each day. – Recommend “Inside the Mommy Blogger Business,” which includes a discussion of the Walmart Eleven Moms blogging hub. LOVE it. Can actually find 20 minutes for a yoga session – as opposed to the 2 hours required to take a 90 minute class at the gym. GREAT way to stay on top of top news stories in the five minutes it takes to go from the doors of my elevator to the doors of the 1-2-3 subway line. Crucial daily update if you’re in the cable TV space. If I had not listened today, I might have canceled my HBO subscription, not realizing the Bill Maher is coming back on air this week. Long and rambling. Essential when I was working on a pricing strategy for a cable TV network. Not highly relevant at the moment. Many of these are about journalism rather than the business side of media; however, there was a very interesting piece about Twitter last summer. Bob Garfield is always entertaining and interesting – and super nice in person. A little difficult without the video.